A report by the First Nations of Quebec and Labrador Health and Social Services Commission says traditional medicine use has decreased from 38 per cent in 2002 to 25 per cent in 2015. Fran Montour didn't grow up with her Kanien'kehá:ka culture, but at 60 year old, she's making an effort to learn more about traditional medicine in her community. "It's only recently now that I'm starting to be involved in what I'm learning. I feel kind of embarrassed because I'm like 60 and I really don't know a lot about it. So, it's never too late," said Montour, a recently retired elementary school teacher from Kahnawake, Que., just outside Montreal. "It's kind of stigmatising because you think 'I'm Kanien'kehá:ka, I should know this.' 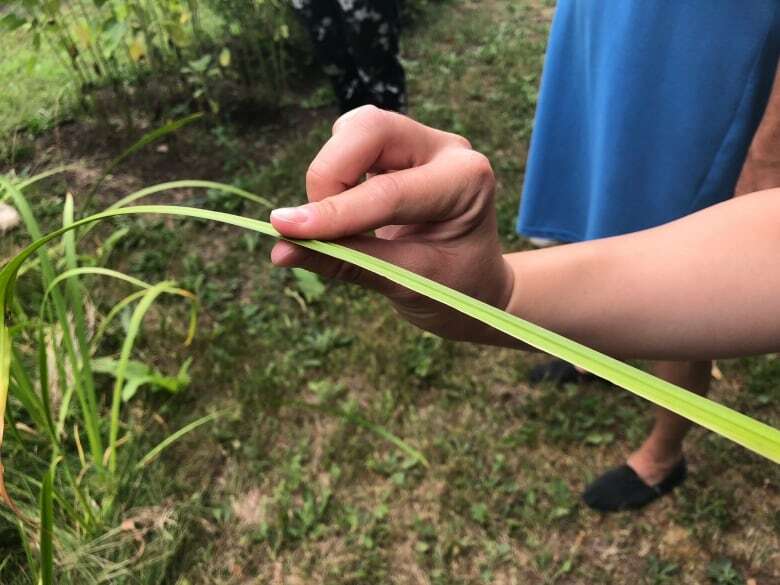 "
On Monday, Montour was one of a handful of community members from Kahnawake to participate in a medicine walk organized by Kateri Memorial Hospital Center (KMHC) to learn more about traditional plants that could be growing in their own backyards. ​"I knew about tobacco, I knew about sage, knew about cedar, strawberries and that kind of stuff but I knew that had to be more. I had like a lot of notes on different medicines but never actually saw them," said Montour. "If we had more of these things going on you know people would know more about it. It's such an important part of our culture." 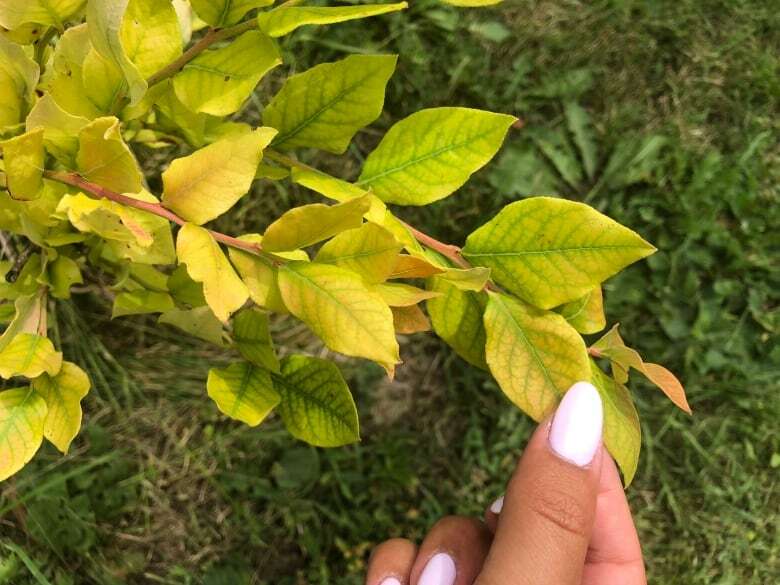 According to results from a recent survey conducted by the First Nations of Quebec and Labrador Health and Social Services Commission, Montour isn't the only one having trouble finding out more about traditional medicines. The survey reported that the proportion of people living in First Nations communities who used traditional medicine has decreased from 38 per cent in 2002 to 25 per cent in 2015. Yet two-thirds of adults reported being interested in traditional medicine and one-third of those adults stated they had difficulty accessing it. Among those who are familiar with traditional medicine, the survey found 76 per cent said they use medicinal plants, 42 per cent used purification by smoke, 35 per cent sweat lodges and 29 per cent healing circles. People said their main difficulties were that they didn't know who to contact to find traditional medicines, they didn't know enough about it and it's not available through public health systems. Marjolaine Sioui, director of the commission, said the decrease is due to a number of factors, including the loss of elders, youth leaving their communities and, in some cases, lack of access to traditional territories. "All of those combined has an impact ... in transferring that knowledge, ceremonies and traditional medicine," said Sioui. "What we see for the traditional medicine, it's something that is transferred orally within communities in general and traditionally. And a lot of our elders are leaving us for the spirit world." 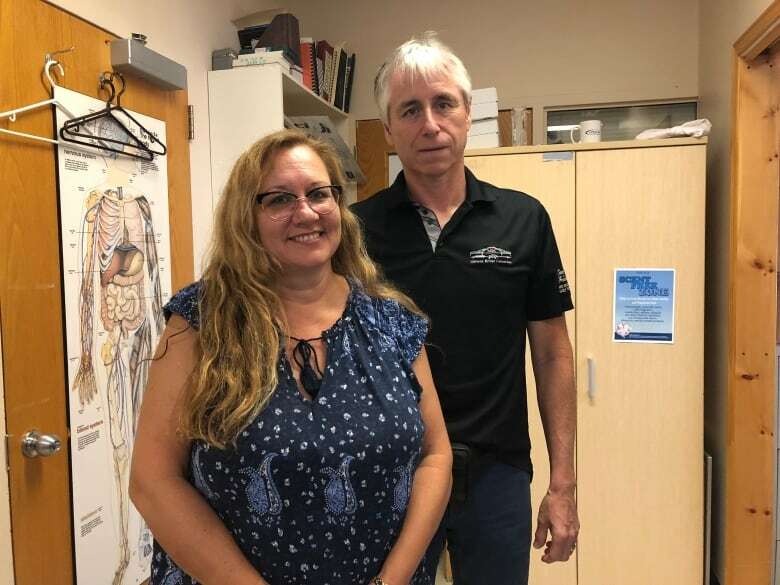 Despite the declining numbers in the survey, Candida Rice, traditional medicine coordinator at the KMHC , feels her community is thriving when it comes to the resurgence of traditional medicine. "If you develop that trusting relationship they share people and they're not afraid to share. We've also raised the standard of saying our medicines are going to be here," said Rice. "It has a place side by side with Western medicine, we brought it out in the open more, and we encourage people and that's part of the dialogue." Rice, and her husband Calvin Jacobs, organize the medicine walks every summer as a part of the hospital's traditional medicine pilot program. 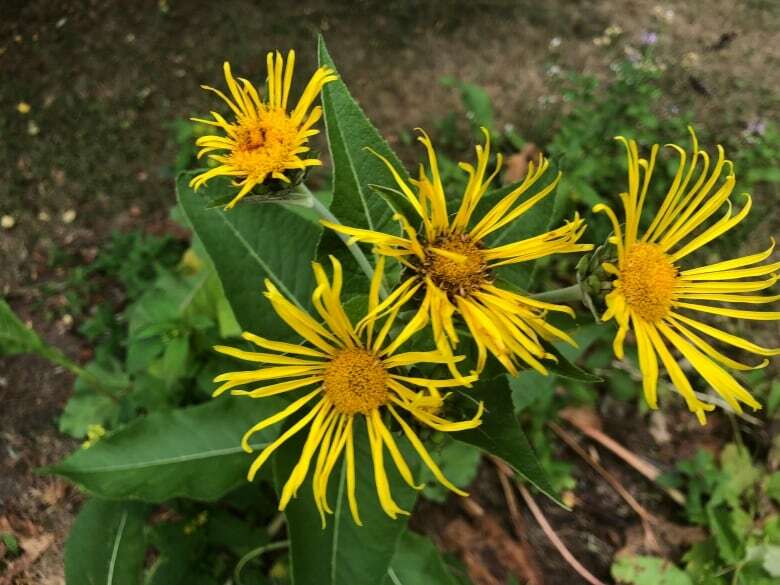 They recently hosted the second walk of the summer to identify over a dozen plants from cedar to elecampane and explained how they can be used to treat various ailments in the form of salves, teas or decoctions — a concentrated liquid made by boiling plants. "We know people do need Western medicine. So basically I'm that bridge that I help look at that and try to share information with the doctors here so that they have an understanding instead of a fear of the unknown and respect because people are doing it anyway," said Rice. 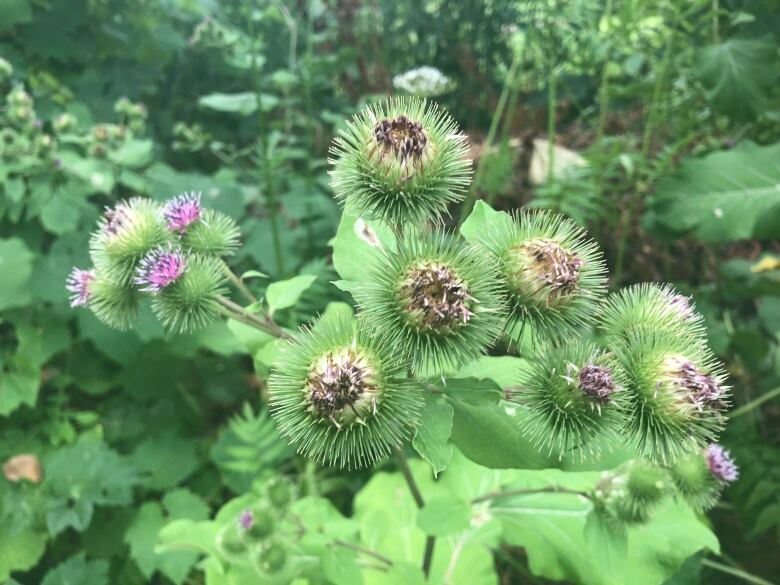 She gave the example of burdock, a common root that is traditionally used by Kanien'kehá:ka as a blood cleanser. However, it has properties that also lower blood sugar and can be problematic for someone who is diabetic. Al Harrington, a powwow dancer and founder of the Red Urban Project, would like to see similar initiatives in Montreal, whether it's medicine walks on Mont Royal or a dedicated space to plant and cultivate medicines. "It would actually help a lot of our younger generation to understand," said Harrington. "A lot of people do want to do smudging, ceremony practices, at their own house. But when it comes to trying to find it, it's very hard here to find those medicines in Montreal and surrounding area." He said purchasing common medicinal plants like sweet grass, tobacco and sage are often overpriced and can cost between $30-$50 a piece in the city. 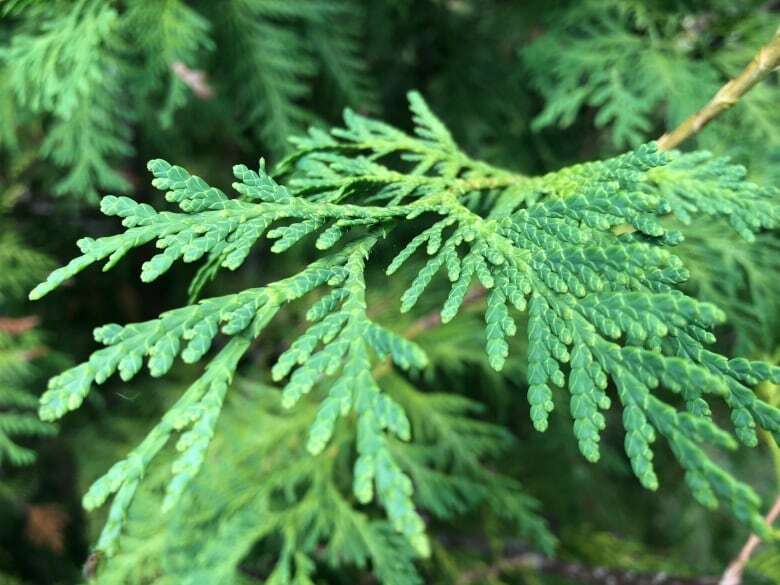 Lesser known plants like sweet flag, called we'ke in Ojibwe and ohnennó:ron in Kanien'kéha, are even more difficult to find. "I'm very blessed to have all of a lot of powwow dancers that I come across quite a bit. 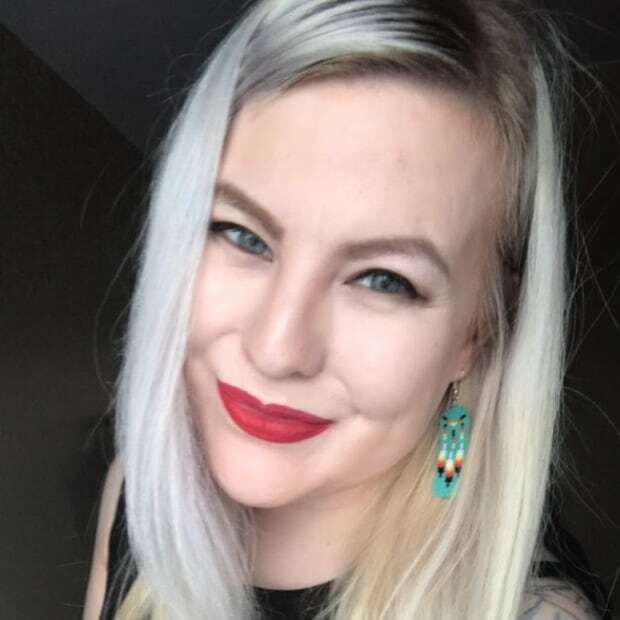 You know the powwow trail is a good way of accessing or acquiring ceremony, but again you know not everybody's into that either," said Harrington.